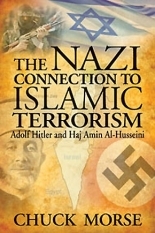 Written two and a half years after the Second World War, this article tells the story of Haj Amin Al-husseini (1897 - 1974), the Grand Mufti of Jerusalem; he was the most prominent of Nazi-collaborators in all of Islam. 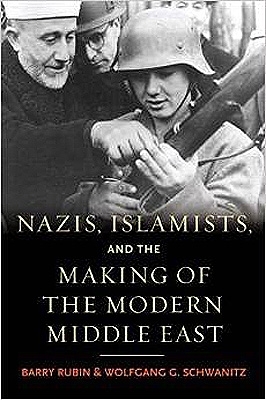 Believed to have been a blood relation of Yasser Arafat (1929 � 2004), Al-Husseini was the animating force behind numerous attacks on the Jews of British Palestine throughout the Twenties and Thirties. Making good his allegiance to the Nazis, Al-Husseini raised an infantry division from the Muslim Bosnians in Yugoslavia. Ultimately, it was his wish that the British be driven from North Africa in order that the Nazis be left alone to kill the Jews of Palestine. Al-Husseini is also the subject of this article. Here is an article from 1919 about Al Husseini. During the hunt for Holocaust architect Adolf Eichman, an SS veteran stepped forward to say that he had seen Al-husseini in Eichman's company on several occasions throughout the years. 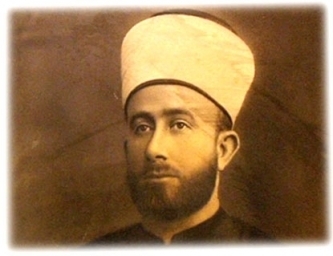 "Haj Amin Al-Husseini, ex-Mufti of Palestine, has had a varied and adventurous career. Few transformations in his fortunes, however, have been as startling as those of the last twelve months. Just before VE-Day, together with Rashid Ali, he gave himself up to French forces on the Austro-German frontier. In his wildest dreams at the time he could not have imagined that a year later he would be conducting Palestine Arab affairs from Cairo...."